In my previous posts on the stakes of PSSA testing, I argued that the stakes were low for students. (see part 2) Last week, I made the case that there is also little at risk for teachers. (see part 3) So where are the “high stakes” on PSSAs? Perhaps there are high stakes for schools and/or school districts. Let’s look at the four main ways a school district could be impacted by the PSSAs: levels of state funding, amount of state oversight and regulation, consequences to administrator employment, and impact on local property values. This entry was posted in Standards and Testing on December 15, 2015 by Bob Sage. 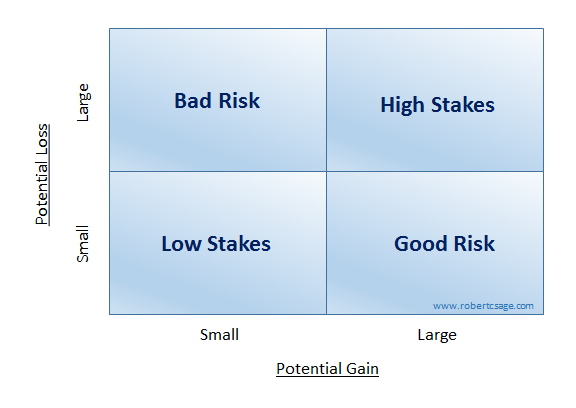 What is “at stake” with Testing? I don’t recall when I first heard the phrase, but I do remember the cognitive dissonance I felt upon first hearing it. The words implied something I was uncomfortable believing. And to resolve that dissonance I set out to learn more about it: “high-stakes testing”. What is it? What does it mean? Is testing in our schools really a high-stakes activity? And for whom? And under what circumstances? In the 1990s, the phrase “high stakes testing” broke into the top 10, and within a few years, it rocketed to the top of Google Ngram charts. By 2008 six of the top 10 uses of “high stakes” were in reference to testing and accountability. What caused the usage explosion? In 1998 Louisiana implemented standardized testing, with an extra kicker. They would use the test results with fourth and eight graders to stop the practice of ‘social promotion‘. If the test was not passed, students would be held back and given extra help. A number of other states quickly followed in the footsteps of Louisiana. In 2002 No Child Left Behind was passed by the Federal Government, mandating the annual testing of 3rd – 8th graders, with the aim of ensuring all children receive a good local education. Holding back students was not a feature of NCLB, but there were accountability provisions for schools not making suitable annual progress. The term “high stakes testing” emerged as a way to describe these accountability systems. What is “at stake” with testing today? In the U.S. today, the “stakes” of testing are not always consistent from state to state. And it is not always easy to determine what the rules and consequences truly are in a given jurisdiction. 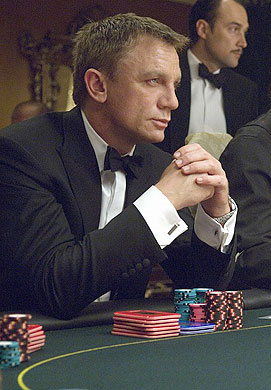 Moreover, the stakes may be different for each actor in the school system: students, teachers, and districts. In Pennsylvania, there are two exams which are administered by law: the PSSA, and the Keystones. These compulsory exams are the cornerstones of the state accountability system. Therefore, this is where we should focus our attention to understand how much is at stake. I will start with the PSSAs. In my next three posts, I will examine what is at stake for students, teachers, and schools. This entry was posted in Standards and Testing on November 23, 2015 by Bob Sage. On Monday, the school board had an extended discussion on class size guidelines and the specific circumstances of Hillendale Elementary’s third grade students. I gave a 15 minute presentation to help educate the board and the community on this topic. To explain how class size guidelines work, I show how cohorts of students are turned into classroom sections. In addition, I illustrate how cohort size relates to average class size. Finally, I examine actual class sizes at our four elementary schools over the last six school years. How common is it for a student to experience a larger class size in our district? Why does a uniform class size policy lead to different class sizes at four schools? And is there any evidence in our PSSA scores that class size matters? 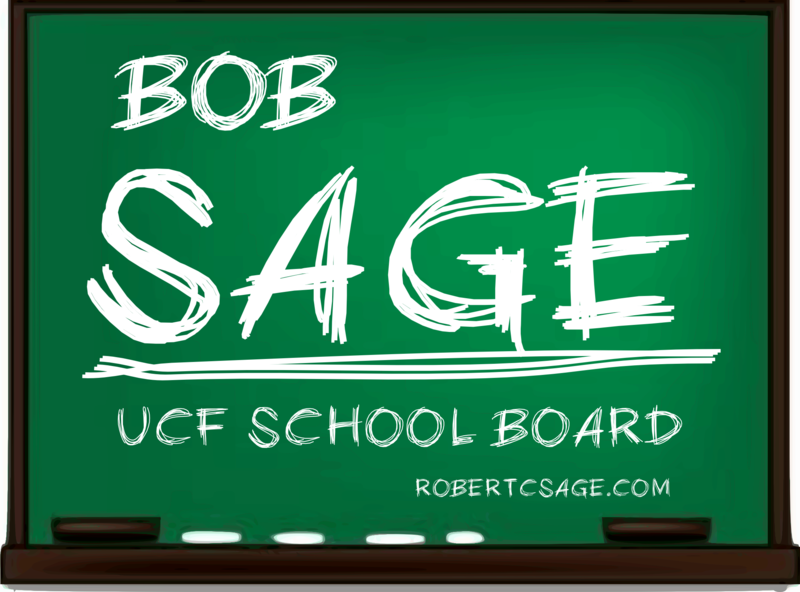 This entry was posted in Class Size on November 19, 2015 by Bob Sage. 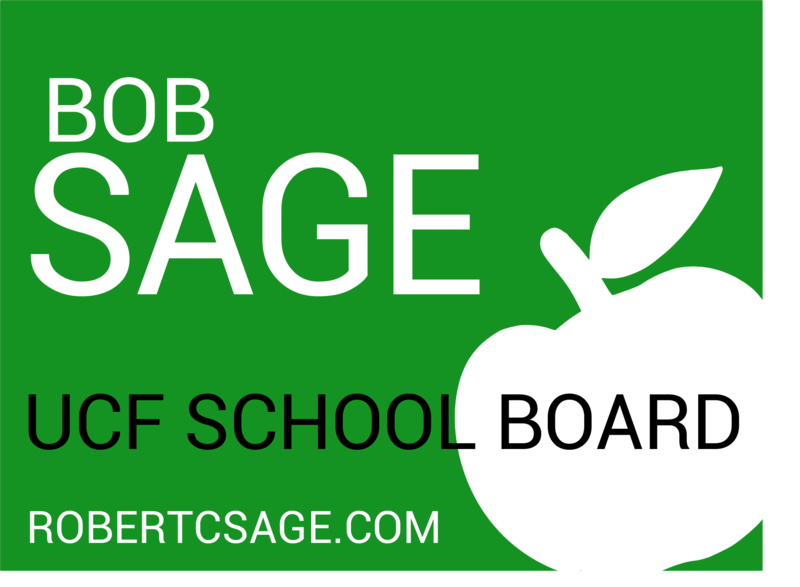 Congratulations to the winners of Tuesday’s school board elections! Based on the unofficial results, the voters have returned four sitting school board members (Dupuis, Daniels, Lindner, and yours truly). 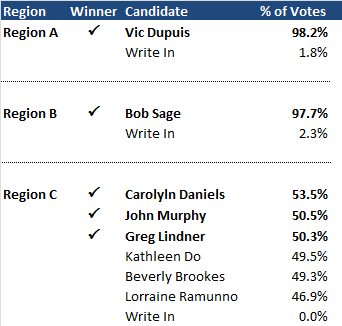 In addition, voters elected John Murphy in Region C, who will replace Kathy Do. The region C race was was decided by about 10 votes. Despite the results being unofficial the candidates appear to have accepted the results as ‘final’. The new board takes office on December 1. 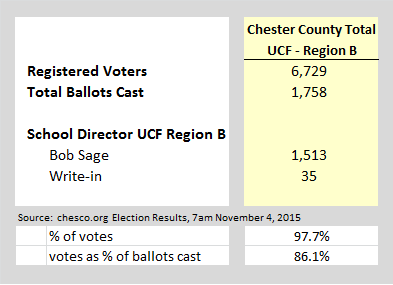 Sources are Chester County Voter Services (text search for ‘Unionville’) and Delaware County (Chadds Ford). This entry was posted in Election 2015 on November 5, 2015 by Bob Sage. Thank you to everyone who voted yesterday! I appreciate your vote, and your continued support. This entry was posted in Election 2015 on November 4, 2015 by Bob Sage. One of the signs of an upcoming election is the proliferation of campaign signs along the road. You can’t run a political campaign without yard signs, right? Before I knew that I would be unopposed on the ballot, I worked on campaign signs with my oldest son. He provided the expertise on the graphics software; we brainstormed together and came up with one traditional sign and two more creative options. Our masterpieces are below. Which one is your favorite? Scroll to the bottom to cast your anonymous vote; maybe the winner will turn into a real sign in 2019? 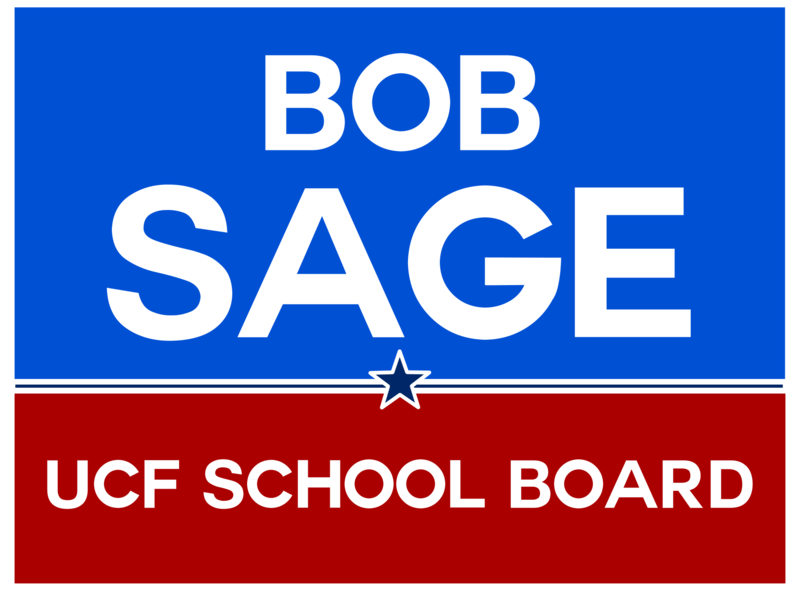 This entry was posted in Election 2015 on November 1, 2015 by Bob Sage.